Activity lasts approximately 2.5 hours. Moses has finished its run at Sight and Sound Theatres® Branson and will not be returning. Sight & Sound will be playing there new show Samson at Sight and Sound Theatres® Branson all year during 2018. 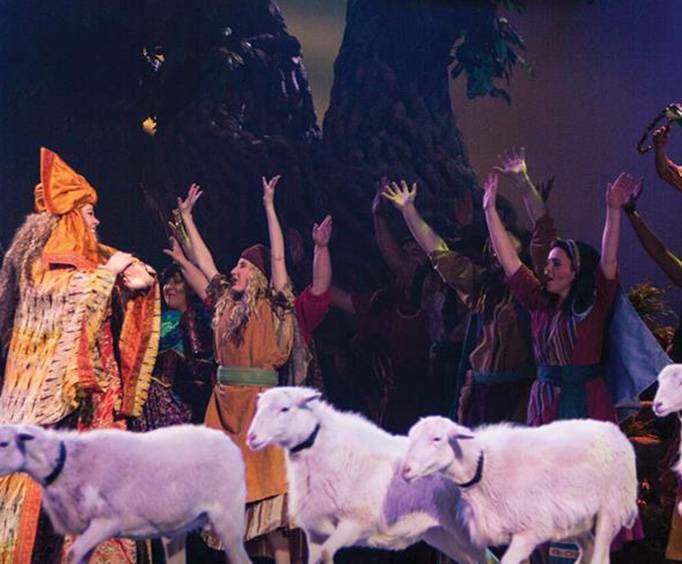 Visit Sight and Sound Theatres, known for bringing biblical stories to life, in Branson, Missouri for the fantastic production of Moses; this tale comes to life with stunning special effects, live animals, and plenty more to delight all ages. Moses is an Old Testament biblical figure who led the children of Israel out of Egypt and into the Promised Land. When the Pharoah of Egypt ordered all male babies to be killed, Moses' mother saved her child by hiding him near the Nile River in a basket, where he was found by the Pharoah's daughter and taken back to Egypt to grow up as a king. After fleeing his home, God spoke to him through a burning bush, telling him to free the Hebrews. When the Pharoah refused Moses' request to free the slaves, Ten Plagues descended upon the land, sent by God to punish the Pharoah for his disobedience. When the Pharoah refused to listen, the Ten Plagues ravaged Egypt, ending with the final Plague which caused every eldest son to die. After this final plague, the Pharoah finally released the Hebrews from slavery. The Pharoah changed his mind, though, and his great army chased Moses and the Hebrews to the edge of the Red Sea. With nowhere to go, God told Moses to lift his rod, and the Red Sea was parted allowing the Hebrews to escape. After leaving Egypt and traveling for three months in the desolated desert, Moses and the Hebrews settled at Mount Sinai, where Moses was given the Ten Commandments by God. Watch in awe as the theater truly brings the story of Moses to life in this amazing bible story. The theater itself features professional actors (who may just put Charlton Heston and Yul Brynner to shame), elaborate costuming and sets, live animals, special effects, original music, and so much more. These elements really bring the Sight and Sound stage to life. 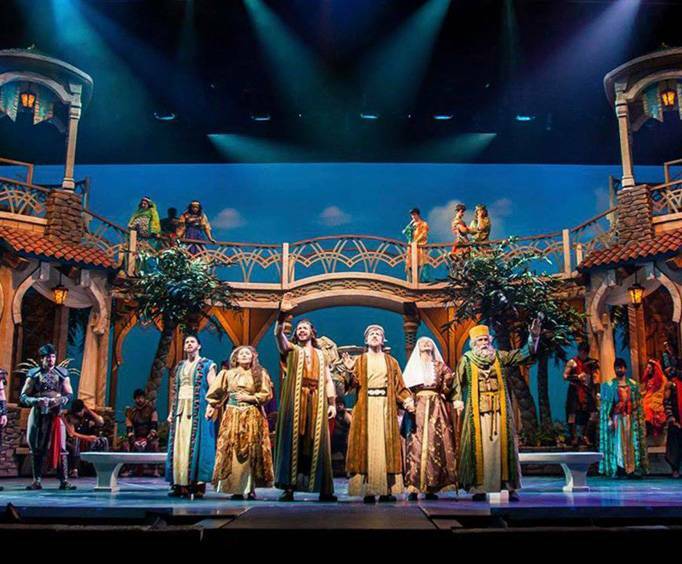 Just the production itself is sure to inspire and leave guests awe-struck; and with Moses at Sight and Sound, you are bound to have a great time reliving the gospel of the Lord through these entertaining displays. The Sight and Sound Theater is owned and operated by Glenn and Shirley Eshelman and is part of a pair of Christian based theaters. As well as the Sight and Sound in Branson, MO, there is a location in Ronks, PA in Lancaster County, PA.
Lancaster County, Pennsylvania is known as Amish Country, but it also has much to offer in the way of dinner theatre. The Millennium Theatre is considered the backbone to theatre in Lancaster, and it is known as one of the top three theatre destinations in the entire United States. That goes without mentioning the hundreds of thousands of people who flock to the theaters each year. No matter which show you see, this venue is the perfect place for live theater in Lancaster, PA.
And if you are looking for Branson tourism, the theater's Ozarks home is just as extravagant as its Lancaster counterpart. 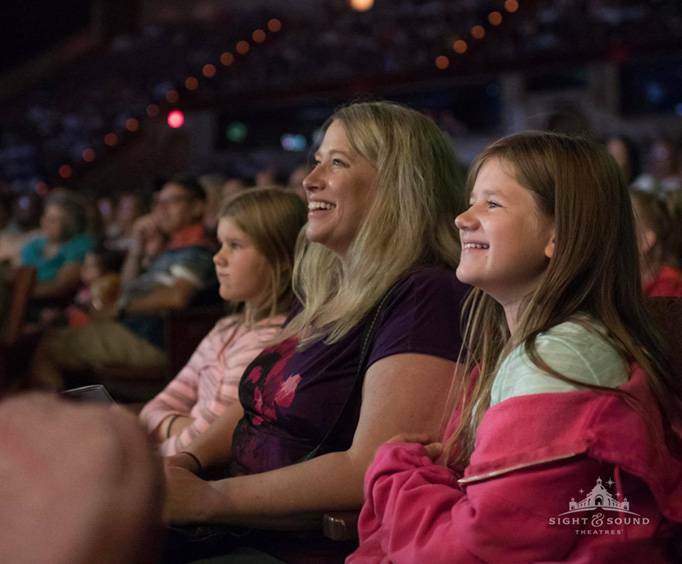 As well as fantastic live theatre, Sight and Sound provides plenty of lasting gospel stories and takes theatre in Branson, MO to the next level. Book your theatre tickets and head to the fantastic Sight and Sound Theatre in Branson, MO to experience a show to remember with Moses. One of the top 5 shows i've seen in my lifetime - even with the unexpected emergency in the latter half of the first act. Everything was handled professionally and the show was absolutely fantastic. The hicks family will return to this theater again. The show was incredible! My wife and i each had tears in our eyes at several points in the show. Our 12 and 9 year old children were glued to their seats. I have been highly recommending it to all of my family and friends. We can't wait to see what you guys do next. Moses did not disappoint! It was as wonderful as jonah! We have plans to come to each new show as they occur! Wish we could have seen prior shows. Best show place in branson. We actually made sure we had tickets to moses before making reservations! Loved it...Wish we could give it more than 5 stars! "I enjoyed it very much"